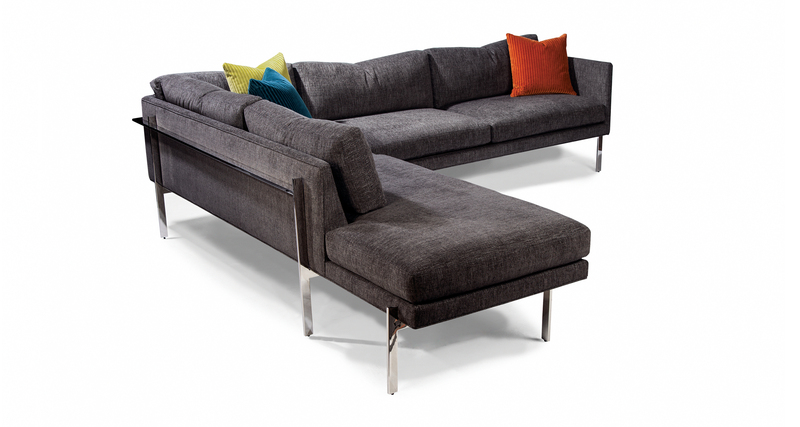 Our Drop In modular sectional sofa is a timeless and glamorous icon of the modern era. 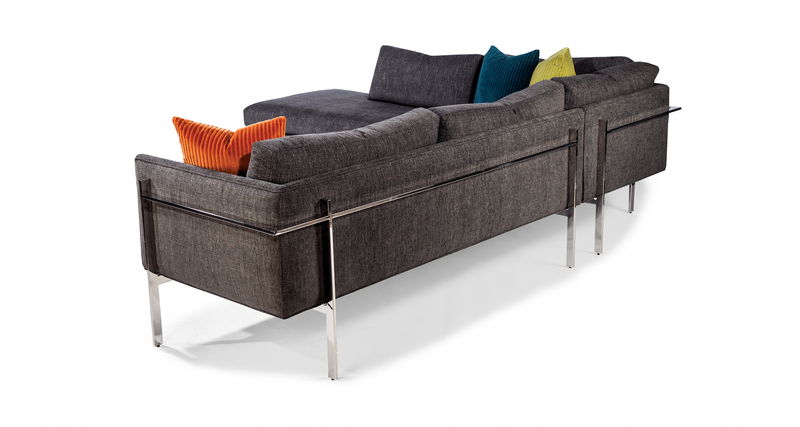 Customize your sectional by choosing from our six different modular units to create the perfect configuration. Select from any of our in-house curated fabrics or leathers for upholstery. Base and legs are polished stainless steel in finish. Also available with brushed bronze base and legs as No. 1314-B. Height to top of back cushion 33 inches approximately. Base and legs polished stainless steel. Throw pillows optional.